The most remarkable thing about House of Cards, at this point, is that it hasn’t ended yet. The first season was great – the story of an ambitious, scheming, and profoundly immoral political couple, which afforded the audience an inside view of the workings of American politics. By the end of Season 2, it became apparent that we were dealing with a classic rise-and-fall tale, which I initially assumed would end in Season 3. Just as The Godfather trilogy is the story of the rise and fall of Michael Corleone, and the George Lucas’ Star Wars hexology is the rise and fall and last-minute redemption of Anakin Skywalker, so did House of Cards set out to show the arc of Frank and Claire Underwood, whose Machiavellian misdeeds cry out for justice in almost every episode, like those of any other Hollywood villain we’ve ever seen on the screen. Except that, as of the end of Season 5, they still haven’t gotten their comeuppance. We’re still waiting for the good guys to win – hell, we’re waiting for the good guys to show up. Why? Are the producers just stretching out a successful show because there’s more money to be made? Probably. But perhaps there is also a larger analogy to real life, and realpolitik, to be understood by this lack of resolution. From the beginning, it was obvious that the Underwoods were modeled on the Clintons – a southern Democratic couple with a very unconventional marriage that seems cemented more by mutual lust for power than by love for each other, at least as most people understand love. Claire even looks like a more attractive version of Hillary, complete with a more attractive Huma Abedin played by Neve Campbell. The kinds of scandals that House of Cards dramatizes are not terribly different from those that have surrounded the Clintons for decades, since Bill Clinton was the governor of Arkansas. Aside from endless stories of rampant infidelity by both parties, there are the more serious allegations of murders and cover-ups. During the Clinton presidency, it was Vince Foster. Much more recently, it is Seth Rich, the Democratic staffer who is believed by some to be the source of the leaked Podesta emails, who was murdered in July of last year. The murder remains unsolved. House of Cards first aired during Barack Obama’s second term, and it was easy to simply imagine it as an alternate reality in which the Clintons, or people like them, had merely been born twenty years later. But Season 5 marks the first time that House of Cards has aired during the Trump presidency, and the media has a very different attitude to the current Commander-in-Chief. Can anyone imagine the media, or Democratic politicians, being even half as gracious to President Trump? 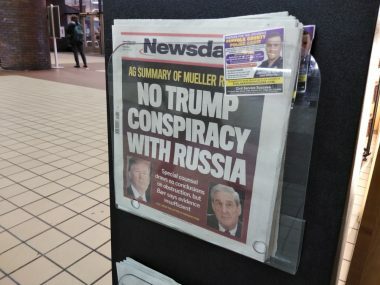 Whereas “birtherism” and accusations of Obama being a closet Muslim were confined to the fringes of the right (which included, at the time, Donald Trump) and were never taken seriously by the media, the accusations that Trump is an evil nazi puppet of Vladimir Putin have been front-page headlines ever since the election. And whereas John McCain rushed to the defense of his establishment-favored opponent in 2008, he has repeatedly lashed out at Putin as “a murderer and a thug.” Ah, American diplomacy. Season 5 of House of Cards is likewise the most conspiratorial yet. We see the Underwoods sinking to new lows, which I won’t recap here, except to say that it brings to mind James Gandolfini’s monologue about killing in True Romance: “The first time you kill somebody, that’s the hardest. But now? Now I do it just to watch their expression change.” The Chief Executive as mafia kingpin. President Underworld. But it isn’t just the Underwoods who become more sinister in Season 5. The view of politics itself changes. One episode has Frank attending a secret conclave of wealthy movers and shakers, which is obviously based on the infamous Bohemian Grove. (I wonder, did they use Alex Jones’ clandestine footage to recreate the scene?) The “Deep State” also makes an entrance into the storyline, in the characters of Mark Usher and Jane Davis. Usher is the campaign manager for Frank’s opponent Will Conway, but it later becomes apparent that his true allegiance is to the unelected power structure, which is why he can seamlessly transition from Conway’s team to the Underwood administration. Davis is an even more interesting character, a kind of female James Bond, but with neither country nor morals. She seemingly allies herself with Claire Underwood, but we’re not really sure why, or for how long. On the one hand, the increased conspiracy and intrigue on House of Cards makes perfect sense, as it merely reflects the new reality (or, at least, the new media reality) of the times. Art and life imitating each other again. But what are truly interesting are not the show’s similarities to real life, but the differences. The mainstream media loves House of Cards, because it’s a great show, with great actors, directors, and writers. 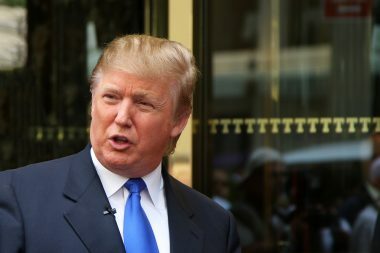 The mainstream media hates Donald Trump, and threw the entirety of its weight behind Hillary Clinton in 2016, a loss from which they still have not recovered. So why do they love a show that skewers the Clintons far worse than anything Mike Cernovich has ever said about them? The media establishment, which consolidates its power through the major networks and publications, which wars against any outside perspectives by labeling them as “fake news” or “conspiracy theories” or worse, simultaneously praises House of Cards, which portrays a world in which conspiracy theories are usually true, though that truth is always suppressed. The same media which dismisses, without any investigation whatsoever, any claims of government or corporate malfeasance that fall outside of its preexisting narrative, will praise a show that portrays the halls of power as being just as corrupt and evil as Alex Jones claims they are. Why? The answer that will immediately come back is: “Because it’s only fiction.” And indeed, conspiracy theories have always made for good stories, as both Oliver Stone and Chris Carter, creator of The X-Files, can attest. But whereas The X-Filesalways occupied a kind of media safe space (a safe outer space, the realm of the paranormal and supernatural) that made it largely immune from any charge that it was trying to make a statement about the way things really are, House of Cards is fictional only in name. It’s not portraying real people and events the way JFK was, but it’s based on a real place – Washington D.C. – and its real socio-political culture and ethos. House of Cards is not acknowledged and praised because it’s good fiction – it’s praised because it’s true. I don’t mean that it’s literally true, that it’s an accurate though fictionalized account of real events, as was claimed of the anonymous book about the Clintons, Primary Colors. Rather, House of Cards conveys deep truths about the nature of American and world politics which are off-limits in conventional discourse, and which are therefore relegated to the world of fiction. House of Cardsis what Oliver Stone said about JFK: a counter-myth, counter to the reigning myth of the American political system. And it strikes a chord with audiences for the same reason JFK did: because, at some level, people know that the reigning myth is a lie. This is what is happening in House of Cards. In a world in which truth is utterly subsumed by an endless barrage of fake news and simulacra, we are faced with what seems to be a paradox: fiction becomes a way of telling the truth. Of course, to the contemporary secular and cynical mind, a story by definition cannot be true, and so to refer back to our religious tradition is to merely peddle a different kind of fake news. The biblical story has been evaluated as history and found wanting. But the Christian tradition has long taught that there are layers of meaning and truth in a text, in a story, and the literal interpretation is the least important of these. Christian tradition also provides us with another explanation for the existence of House of Cards: the need for confession, the heavy weight of sin on the soul, which in this case is our national soul, or even our global soul. Why does the Hollywood-Washington axis make a show that so obviously shows it for what it is in its essence, even if the details are fictionalized? For the same reason that Claire Underwood confesses her crimes to her lover Tom Yates. Because human beings are, at the end of the day, moral creatures, and cannot escape the cries of conscience, no matter how muted or mutilated they have become. Vanity Fair picked up on these Trump references and compiled their own handy list. I’m sure other publications have run with the Underwood-as-Trump meme as well. And who can deny that at least some of the comparisons are valid? Trump is outlandish. He grabs headlines, and makes his own. 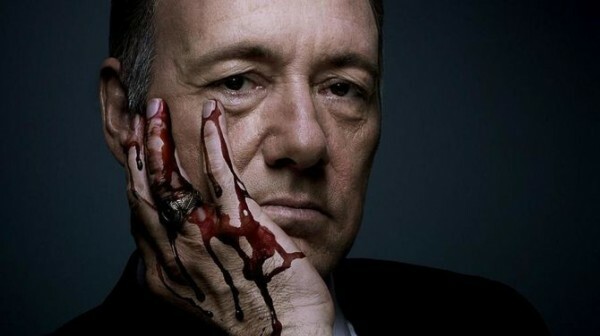 He swaggers and boasts and portrays himself as, in President Underwood’s words, “the strong man, the man of action.” But in doing all of this, can Trump not say, like Underwood in his resignation speech, that he is merely playing by the rules that already existed in politics and media, which everyone, including himself, helped to create? What might happen is that House of Cards will end around the same time as the Trump presidency. If his opponents have their way, that will be through impeachment, or worse. At the same time, viewers will see President Underwood finally get his due for all the terrible things we’ve watched him do for the last five years. (And let’s concede Underwood’s point when he says to us: “Oh don’t deny it, you’ve loved it.”) Trump and Underwood will be largely equated in the public mind, and that public mind will quiet once again because, in both the real world and the reel world, the bad guy has been punished, and once again, all is well. Who will remember that the Underwoods were not Donald Trump, but Bill and Hillary Clinton? Who will care that what will have taken place was in no way a rectification of the system, but merely another scapegoating, a political sleight of hand as old as human civilization itself? 23 Comments to "House of Cards and the Reign of Injustice"
A willing suspension of belief, in contrast to the old-fashioned version that used disbelief. Such is what passes for a core tenet of media. I’m sure that few of them need to be forced into submission; they appear to be pretty much a pack of willing accomplices, yet people still keep the faith. What might happen is that House of Cards will end around the same time as the Trump presidency. It ought to make a tidy sum in syndication, then, after a 13-year run like that. It is no stretch of the imagination to equate Frank and Claire with Bill and Hillary. But Trump has few of the political, sexual, moral characteristics displayed by the Underwoods……but Tusk, hmmmmm. Much more recently, it is Seth Rich, the Democratic staffer who is believed by some to be the source of the leaked Podesta emails, who was murdered in July of last year. The murder remains unsolved. Assistant Attorney for the District of Columbia Steve WASSERMAN–brother of Debbie Wasserman Schultz (DWS)–helped squash any legit investigation into the Seth Rich murder, now he’s protecting his sister, Debbie Wasserman Schultz in the Awan Imran Case. House of Cards was originally derived from a British TV show of the same name. In the end, the Underwood character is killed, with participation of his wife in the death. I always assumed that they would end it the same way here. But, now they have the new narrative, in which a female is now the President. It is necessary for the media to promote the feminization of reality, so this is the direction they are going. I’m sure there will be resistance by the Kevin Spacey character due, of course, to his self-entitled White male vision of himself, so Claire may have him killed. But, I don’t think this will be continued through the Trump presidency. I think Kevin Spacey is getting bored and never had any intention of the series continuing as long as it has. We’ll see. I recall the British House of Cards from the early 90’s, seems to me it was much shorter. Probably goes to show the problem is world wide. I suppose it is, Caesar was killed by his friends. “The Boss” was a great tv series about a mayor of Chicago. The first season was excellent – great writing – outstanding acting. Kelsey Grammer was great. The mayor and his wife were terrible people – it showed politics and media at their worst (probably truest). Mayor Tom Kane (Golden Globe® winner Kelsey Grammer) is King of Chicago, and he rules his domain with an iron fist. Deception, scandal, and betrayal go hand in hand with Kane’s form of politics. As long as he gets the job done, the people of Chicago look the other way. Despite being the most effective mayor in recent history, Kane is hiding a dark secret. A degenerative brain disorder is ripping everything away from him, and he can’t trust his memory, his closest allies, or even himself. Watch as Kane viciously fights battles on all fronts in “Boss” Season 1. Other than that self-serving book that she is touting, we haven’t heard much lately from Madame or the Husband of Record. 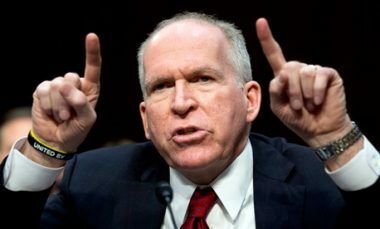 Rumor has it that they have lawyered up –just in case–and are under orders to keep their mouths shut. Which is a tall order for those two. Compared to the HBO version, the original Brit version plays like a Gilbert & Sullivan comedy. And I watch the US House of Cards as a documentary rather than a fiction. What amazed me is that HBO made the two sociopaths at the center of the show Democrats. Because the literal interpretation of Christian tradition is Paganism, Polytheism and Idolatery, it is spun as least important. LOL at the deluded fools who buy into that. alot of the stuff on this show is right on the money, except for the obvious tack on dramatic moments or plot points. The original version is three seasons, with three (60-75 min) episodes each. The Brits seem to make these programs for the theatrical art–they tell a story, and move on. Hollywood does it to mint coin–and pounds every subplot into the ground. That’s JFK level stuff right there. Thank you for a short synopsis of the House of Cards series. I’ve never seen the series … not even a quick surf through a scene to assuage any latent, casual guilt traceable to a lack of curiosity. However, as a principle, one ought not to have to suffer weeks, months, or years of tortured art to communicate or understand simple political truths. Indeed, it is perhaps shameful to try to frame a serious expose on the corruption in the American political system as entertainment. In the end, you justified my judgement that the series was not worth viewing. As an alternative to the series, there are libraries of readable historical material about the American Deep State, when it started (post Civil War), and how it works. Yes, since the Civil War, the (((tribe))) has played a major, constituent role in the secret history of how our government really works. As a start, I suggest Carroll Quigley’s book, “Tragedy and Hope: A History of the World in Our Time”. This belongs in category of Movies-Hollywood-Won’t-Make or MHWM. If this story involved a conservative, it’d be TV movie already. But it’s about Wasserman and her diversity hire. So, never mind. Even globo-media won’t touch it as news. Move along, nothing to see here. I propose a new law to avoid conflict of interest rules. Lawyers be banned from serving in executive and legislative branches of all governments, both state and federal. Limit them to serving only in the judicial branch. That shocked me right from the beginning. And the Republicans don’t appear much. It’s all skullduggery among the democrats. A good touch is having Underwood do some murders himself. Clinton all the way. Stopped watching HOC when guys kissed guys. Go back even further. We didn’t start our revolution until the French had their ships, army and armaments on the way. We borrowed 13 billion in 1775 money from the French treasury. The French treasury borrowed it from the biggest banking house in Europe, the Grand Duke of Hesse and his Frankfort bankers, among whom was Mayer Rothschild and other Jews. So the Rothschild bankers were there at the beginning. The grand duke made a fortune, lending money to the French for the Americans and renting out his soldiers to the English. That’s how to become rich, the military industrial complex. What’s annoying though is its a little secret society that’s planting all these seeds (Jewry) and there seems to be little to nothing we can do to stop it other than point it out. The brainwashing is so strong that proof of itself doesn’t matter to most but believing the lies that made up your existence to this point.